In a constantly evolving newsroom, journalists are always looking out for interesting ways to enrich the human experience using unique and distinctive formats. 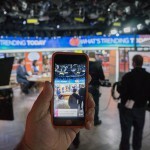 Live video, for example, offers audiences real-time coverage of live experiences. 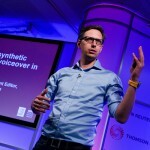 Dmitry Shishkin, digital editor, BBC World Service, presented the latest experiment from the organisation, using language technology in news production – from machine translation to synthetic voices. 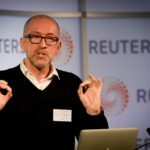 With two weeks to go until news:rewired ‘video focus’ on 16 March at Reuters in Canary Wharf, London, here are the latest updates to the programme – we’re adding a new ‘spotlight’ talk about live video, a lunchtime workshop from Periscope, and a new speaker will be joining our 360-degree video panel. The event is now sold out – but details of the next news:rewired will be announced soon. As audiences spend more and more time on their mobile devices compared to desktop, this session looked at the types of video and production style which work best on the medium. 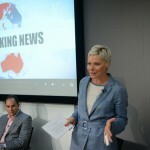 Moderated by Goldsmiths Digital Journalism Lab’s Miranda MacLachlan, the session featured presentations from Hanna Kouri, channel director at Finland’s ISTV, and Isaac Showman, managing director at Reuters TV. 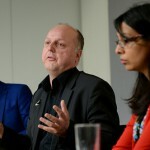 Jochen Spangenberg is innovation manager on the Reveal Project, an initiative co-founded by the European Commission, which aims to develop tools and services that aid news organisations in verifying social media content. In this video, he talks about the balance journalists should find between using both social media and traditional mediums to source and verify their stories, as well as the common challenges they face. 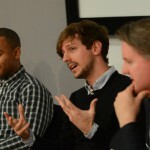 Ashley Muddiman, research associate on the Engaging News Project, spoke on the panel about building engaged communities at last week’s event. 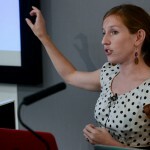 In this video, she shares some of its findings and tips, such as when should journalists engage with their readers in the comments and how changing the language of these sections can help maintain a civilised conversation. Today’s teenagers don’t bother with their laptops, they go directly to mobile, Hanna Kouri, of Finnish channel ISTV, told delegates at the news:rewired conference, in London today. Representatives from newsrooms that use short video to engage with readers and viewers told the news:rewired conference, in London today, about there various approaches. Newsrooms using short video to engage with readers in a matter of minutes shared their approaches and lessons in this session of the news:rewired conference in London today. 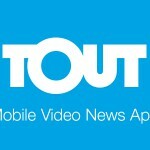 We’re pleased to confirm Tout as the latest sponsor of news:rewired, the one-day digital journalism conference by Journalism.co.uk. The short-form video platform, which is used by outlets such as Digital First Media and the Wall Street Journal, allows journalists to capture a range of media from breaking news footage to snappy interviews. Michael Downing, who is founder and chief executive of Tout, will join the short-form video session at news:rewired on Thursday 20 February. 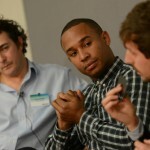 Other speakers in the session include Kamali Melbourne, online video producer at Channel 4 News, Peter Winfield, videographics director for the Economist and Matt Danzico, head of the BBC Innovation Lab. Tickets to the event have sold out, but digital tickets are available for £100 +VAT, giving holders access to session and workshop videos after the event.